Imperial Assault Carrier Expansion Pack for X-Wing is now at The Wandering Dragon! 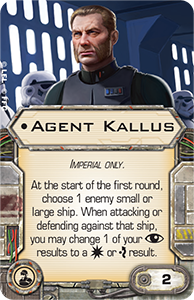 results into more positive results as if you had spent a focus token, Agent Kallus functions both on offense and defense against the targeted ship, and his efficiency only improves as the game goes on, especially if he targets an extremely durable starship like the Millennium Falcon. 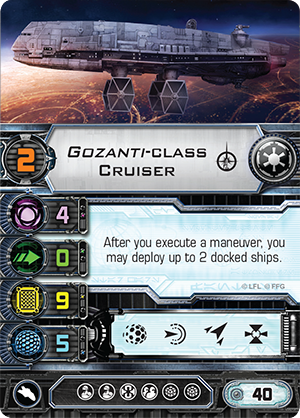 Moreover, with unique, new ace pilots like “Scourge,” the Imperial Assault Carrier Expansion Pack invites you to explore new pilot combinations and further customize your Imperial fighter wings. A predator whose ferocity increases as he catches the scent of blood, “Scourge” gains an additional attack die whenever he attacks a ship that has already received at least one damage card. His pilot ability makes him an excellent pilot to partner with another ace with the same or higher pilot skill value, and it makes him an excellent recruit if you anticipate that you’ll face durable ships like the YT-1300 or Y-wing that can take a lot of damage before they explode. More importantly, though, his pilot ability makes him worth considering in any Imperial squadron that can take advantage of synergistic pilot abilities. 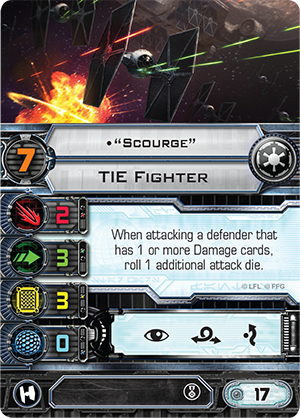 You need your other pilots to do their jobs in order to get the best out of “Scourge,” but he bolsters their impact as well. Pursue the Rebellion’s subversive pilots wherever they may flee. Hunt them down, and crush them. Allow no Rebels to escape you. The Imperial Assault Carrier Expansion Pack is now at The Wandering Dragon!